Is the New BlackBerry Torch an iPhone Killer? No. RIM's new "best-ever" BlackBerry, the BlackBerry 9800 Torch, may be that, but at most it will will staunch the bleeding of BlackBerry defectors. 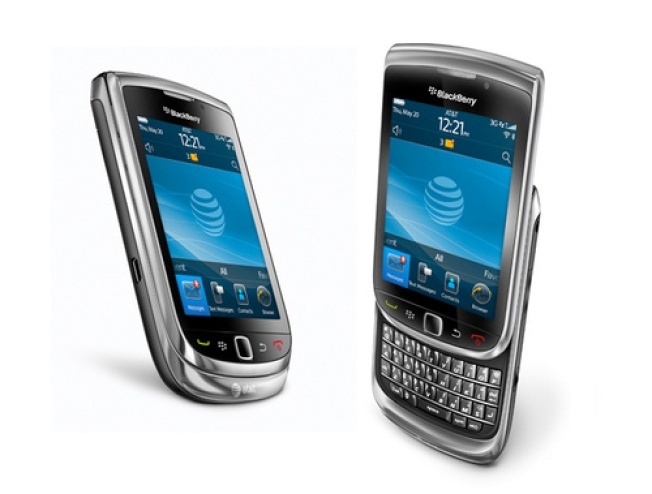 RIM has done what it needed to do on the software side with the Torch, available Aug. 12 for $200 from AT&T, but has failed on the physical. BlackBerry 6, the new OS, vastly improves navigation and brings BlackBerry more in line with iPhone/Android-type navigation while adding two innovations own touches: universal search and pre-segmented and fully customizable app home screens. Universal search is truly universal. Just slide down the vertical QWERTY and start typing; search results automatically appear, narrowed as you continue to typing. You can then narrow your search by tapping an application; for instance, if you're searching for a Red Hot Chilli Pepers song, as you type in "Red Hot Chi..." you can then tap the music player or Slacker to narrow the search to that app. Navigating all your BlackBerry apps is made simpler by home pages that both slide horizontally to reveal grouped pages of apps (Favorites, Media, Social, etc.) and vertically to show and hide full pages of icons. Other functionality niceties include multi-tasking, a social network/email/testing update/message aggregating app, photo geo-tagging, and wireless WiFi syncing. Physically, though, BlackBerry Torch can't even singe the current crop of superphones, least of all iPhone. Even though Torch's whole front is a capacitive multi-touch touch screen, it's just a 3.2-inch display with just 360 x 480. Torch is powered by a 624 MHz processor rather than the suddenly de rigueur 1 GHz engine. Thanks for the 5 MP camera with flash, but only a VGA rather than HD video recorder. 4 GB of built in memory rather than 8 or 16 GB. Bluetooth 2.1 instead of 3.0. A vertical QWERTY rather than a roomier horizontal. And with the keyboard down, the Torch becomes a bit unbalanced. BlackBerry owners looking for a more iPhone/Android-like experience will want to upgrade. But Torch is unlikely to get iPhone or Android owners to switch.